There are a number of issues that business owners could potentially face when it comes to their garage door. Keeping it well maintained and operating it properly helps to reduce operational problems, but they can still happen. One problem you might face is that the garage door doesn’t close completely, preventing you from locking up properly. This can pose a security risk as well as leaving the contents of your garage partially exposed to the weather outside. If this has happened to your garage door, then read on for our tips on how to solve the problem. The most important thing to do is make sure that your garage door is still safe to operate. If your garage door doesn’t close all the way, then it could signal a wider problem with your garage door or its opener, which could put it at risk of not staying open as well. If you still have to go in and out of your garage, it is advisable to keep it propped open while doing so, in case it suddenly falls from its open position. Once you know it’s safe, you should do a quick check of the door and all of its components to see if you can tell what is causing the problem. Check the garage door itself for dents or any other material damage. You should also take a look at the springs and hinges to make sure that nothing is loose. Finally, check the garage door opener for any apparent faults. Certain garage door openers also have the option to set where your garage door stops, so check these settings to see if this is stopping it from going further. If you cannot determine the cause of the problem, then you should call a professional to come out and diagnose it for you. Attempting to do a DIY job on your garage door can be dangerous and could lead to further damage to your garage door. You could injure yourself while working on the door, and if you repair it poorly, then you and your family could still be at risk when opening and closing the door. So, the best step to take once you’ve identified the problem is to call out a garage door repair technician to fix the problem for you. Doing this now before the damage gets worse will minimize the amount you will have to pay for repairs. 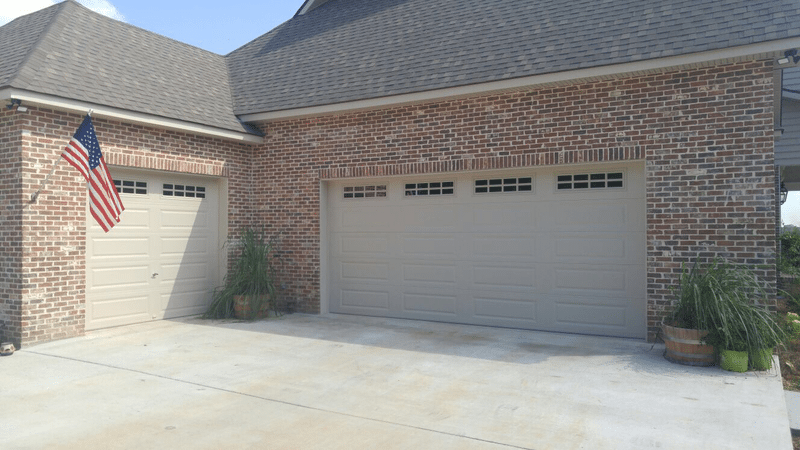 Are you in need of maintenance for your garage door? Call Carolina Garage Door or contact us online to book our services around Winston Salem, Greensboro, High Point, and Kernersville.